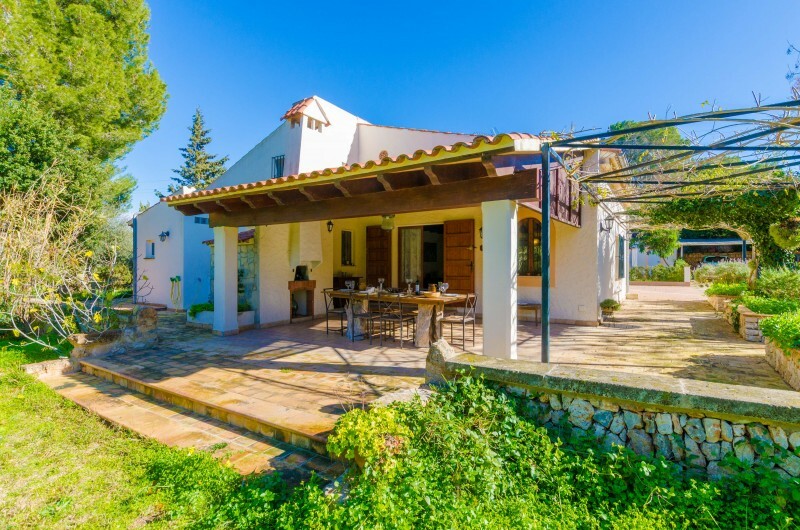 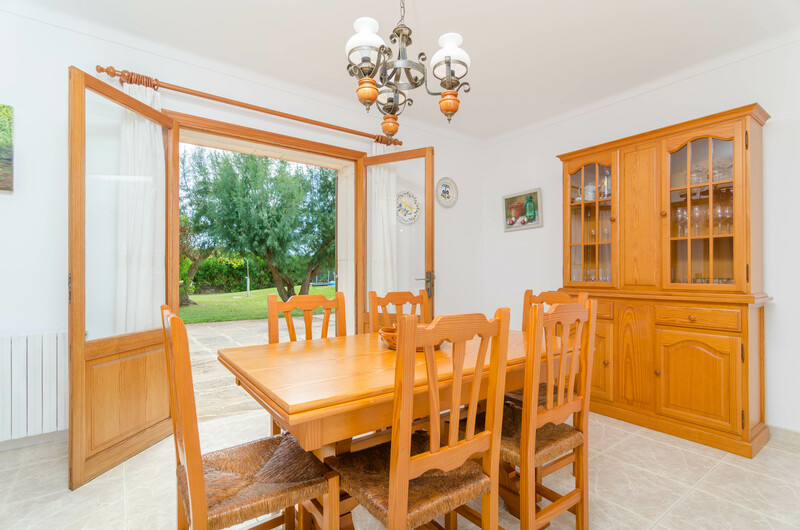 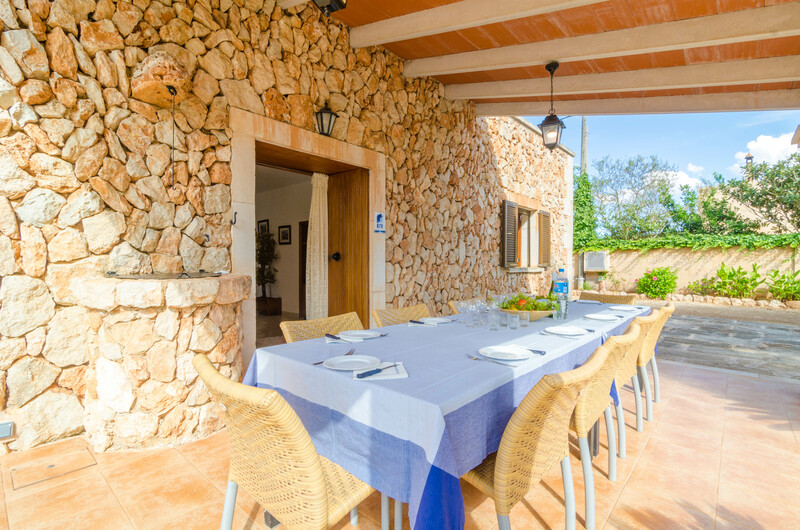 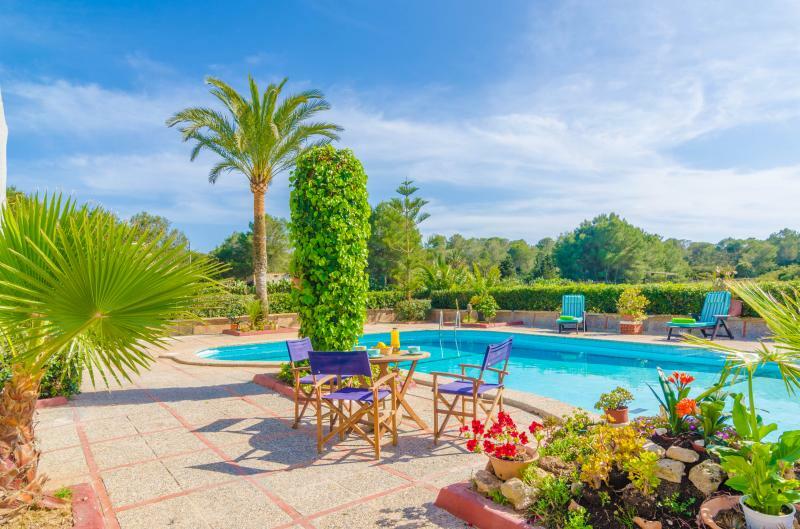 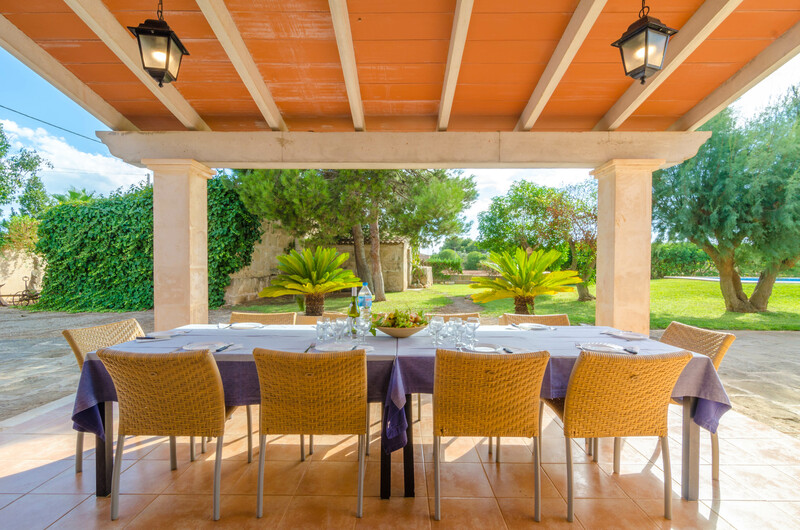 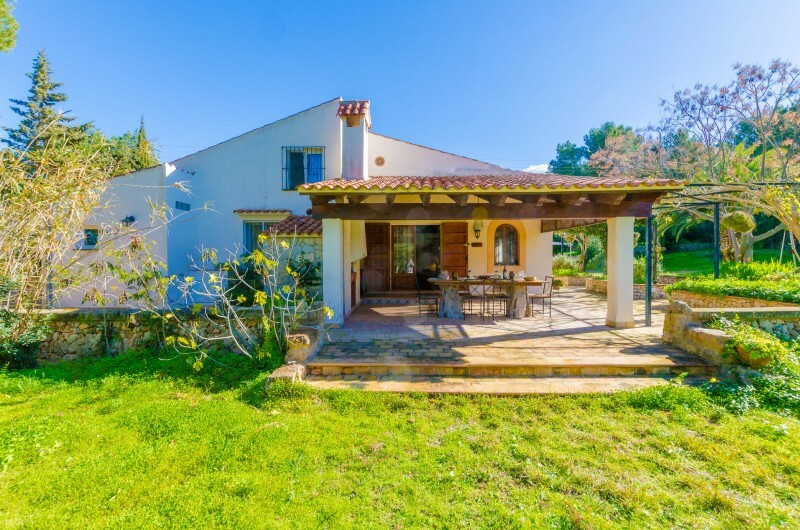 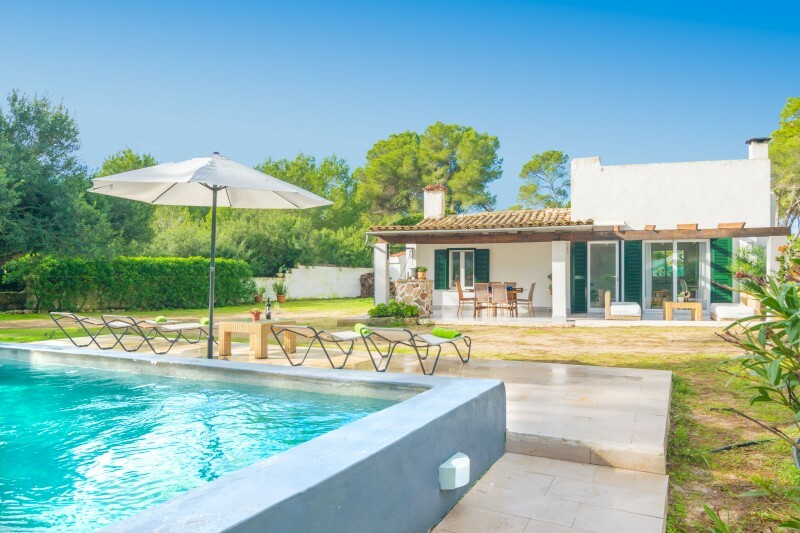 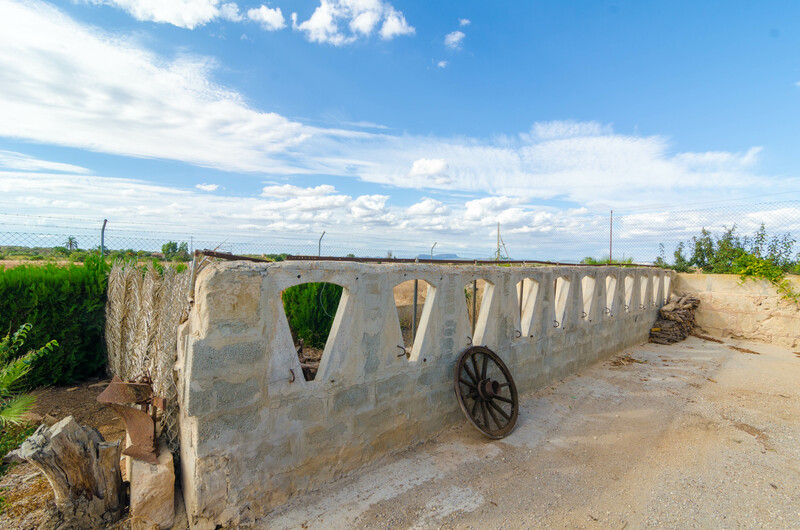 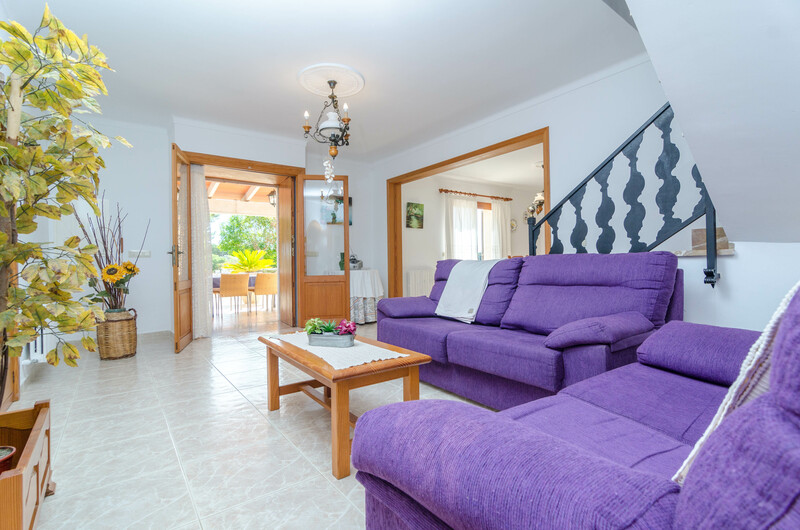 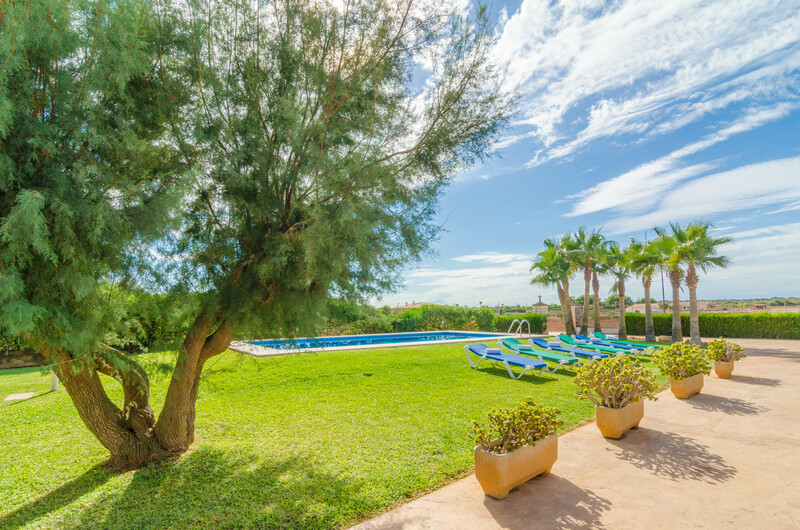 This typical majorcan house outdoors are outstanding, and the chlorine 11x5m swimming pool with a deph ranging that goes from 1.40m to 2.00m, is surrounded by a big grass área, where you can make the most of the sun, or play with the kids. 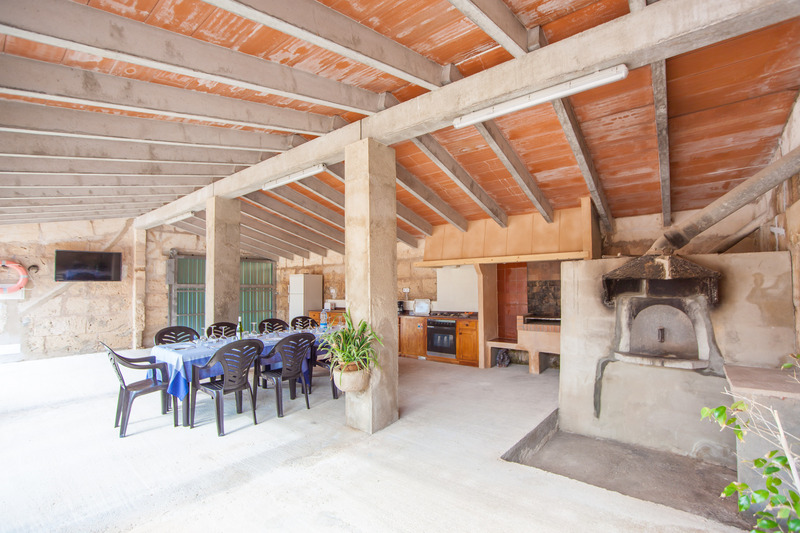 The property disposes of two furnished porchs, one beside the swimming pool, and another one equipped with a barbecue and a wood stove. 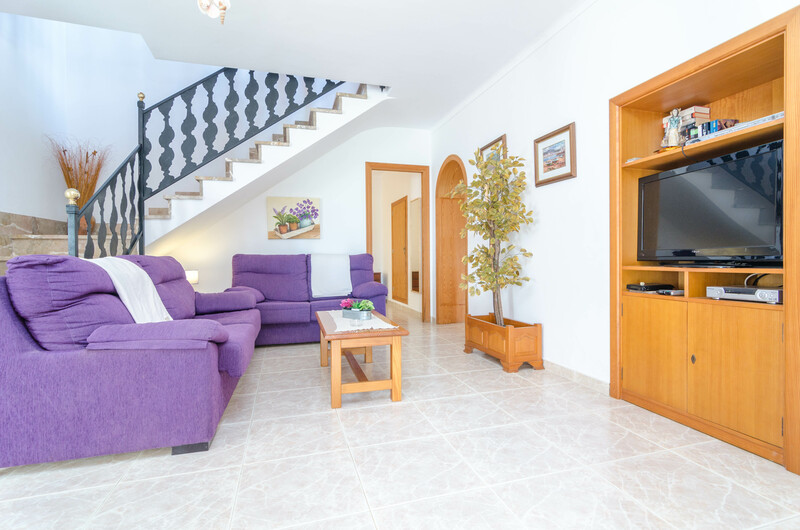 It is divided in two floors, and decorated in a very functional way. 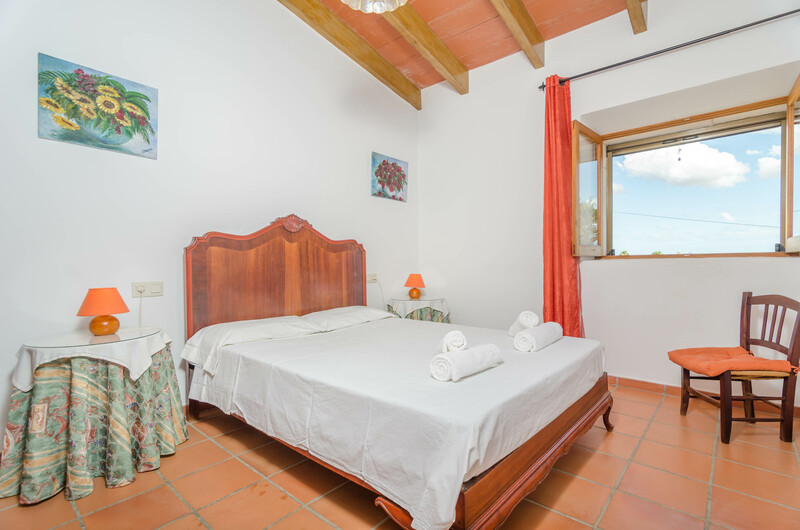 There are five bedrooms with wardrobes, and three bathrooms. 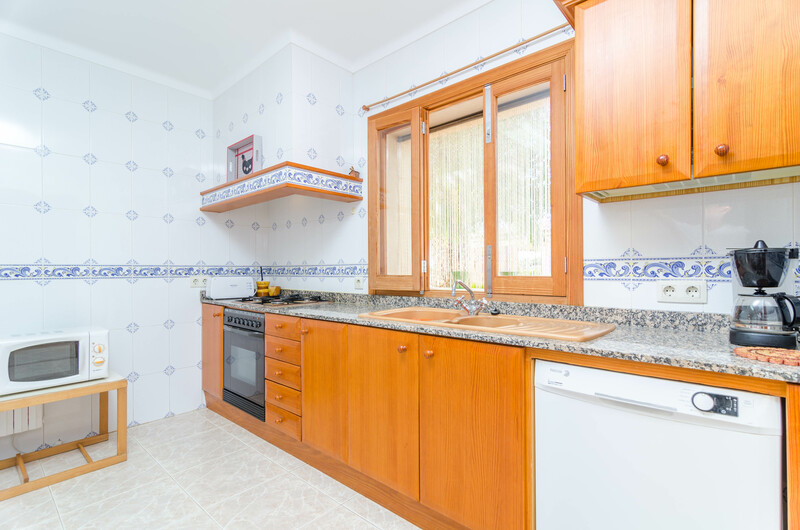 At the ground floor, you will feel like at home at the open dining-room, watching the satellite TV, and the equipped gas kitchen, it has all the necessary amenities to prepare tasty dishes. 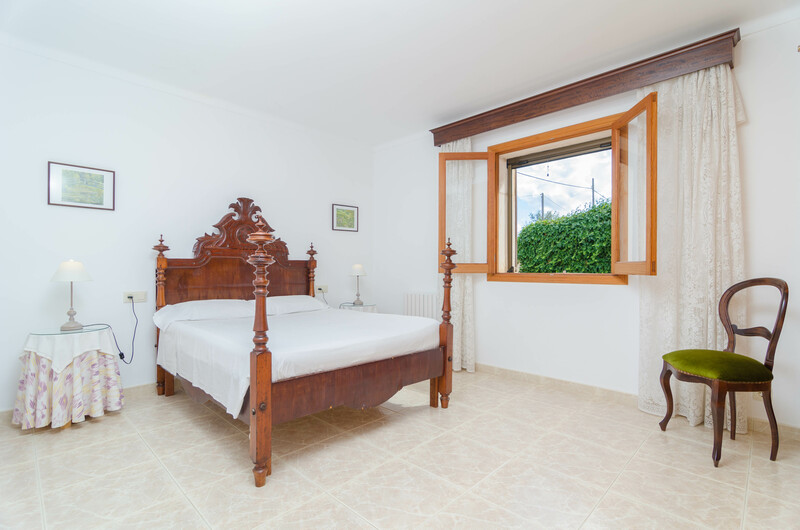 Three of the bedrooms ,, two with a double bed and one with two single beds, invite you to dream after a long day. 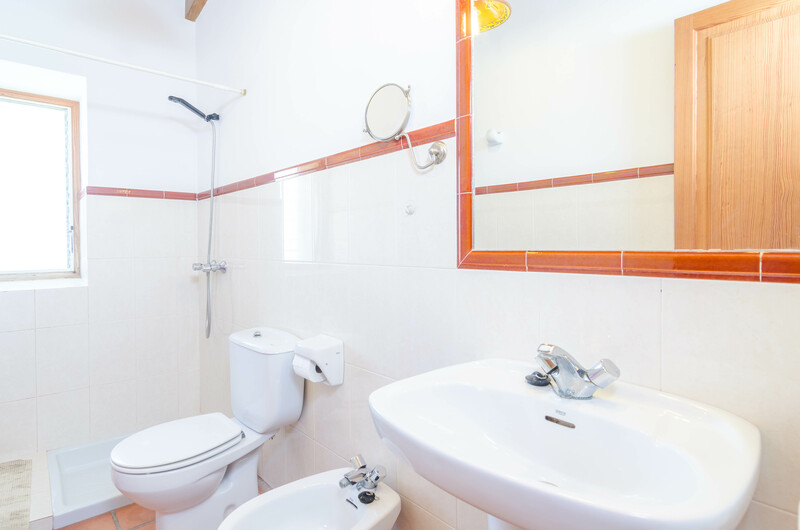 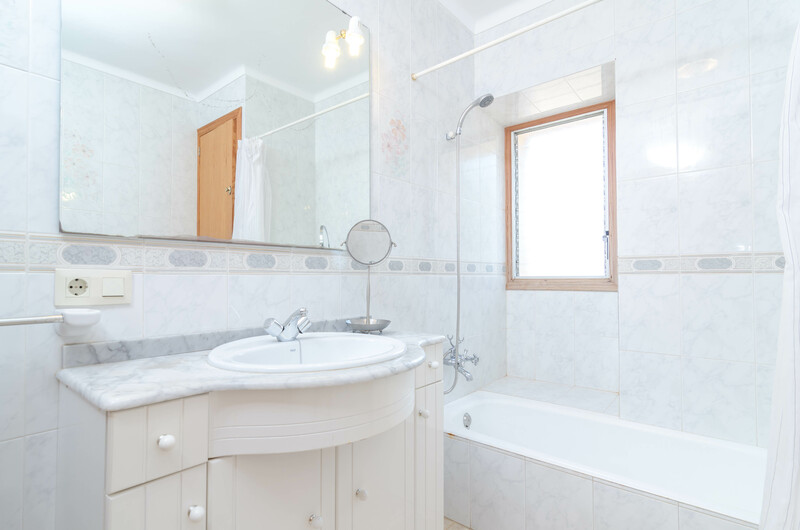 There is also a bathroom with a shower. 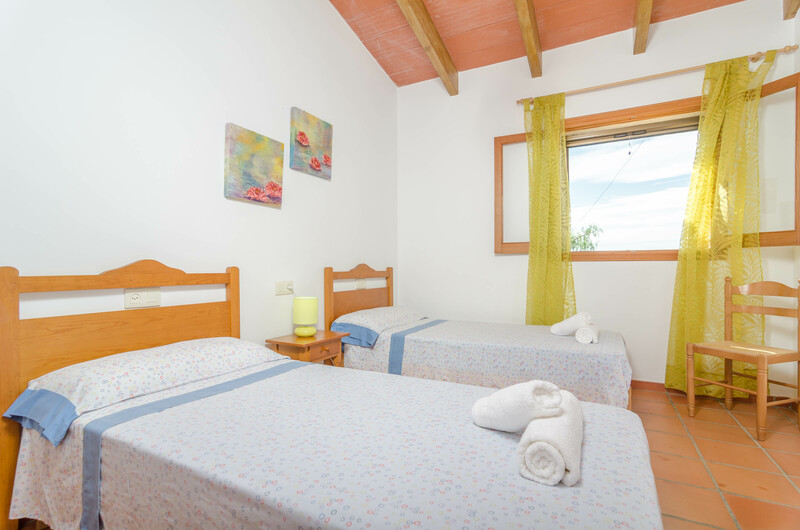 If you travel with your baby, we will provide you a cot and a high chair. 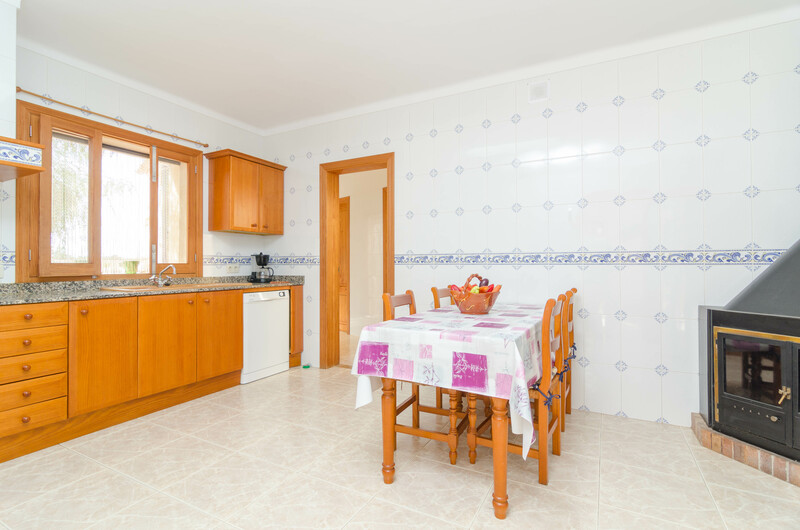 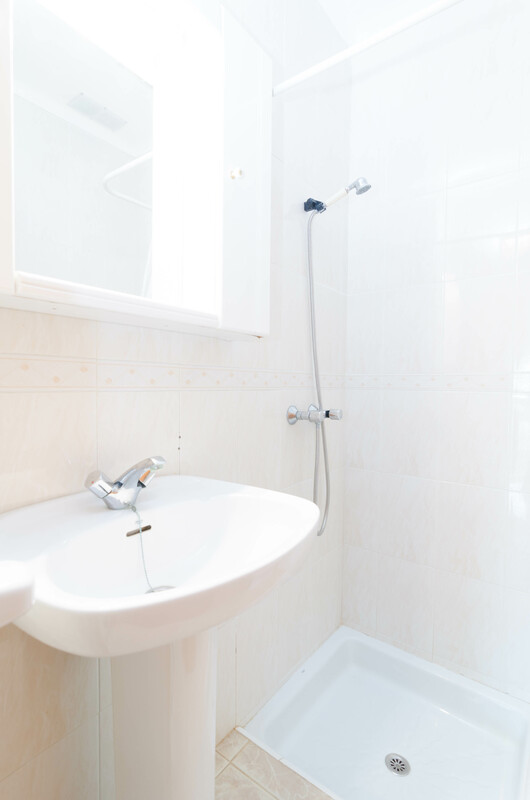 The house also disposes of a washing área, with a washing machine, an iron and an iron board. 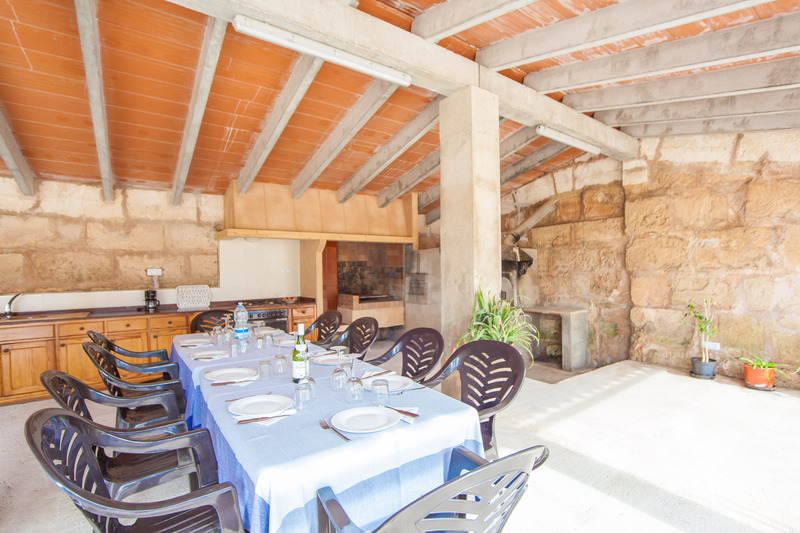 Only 2,6km from the house separate you from the idylic and protected Es Trenc beach, and little unforgettable coves at Colonia de Sant Jordi, an ideal place if you fancy to eat fresh fish. 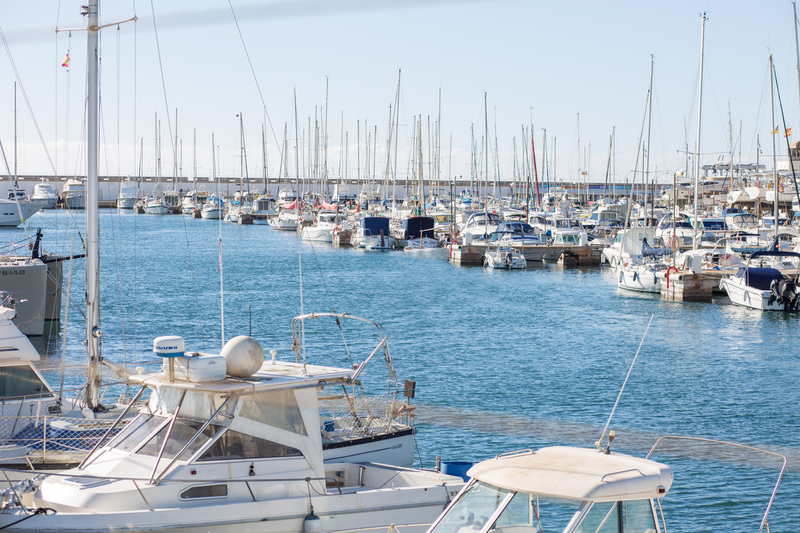 At night, the port lights up and becomes very lively. 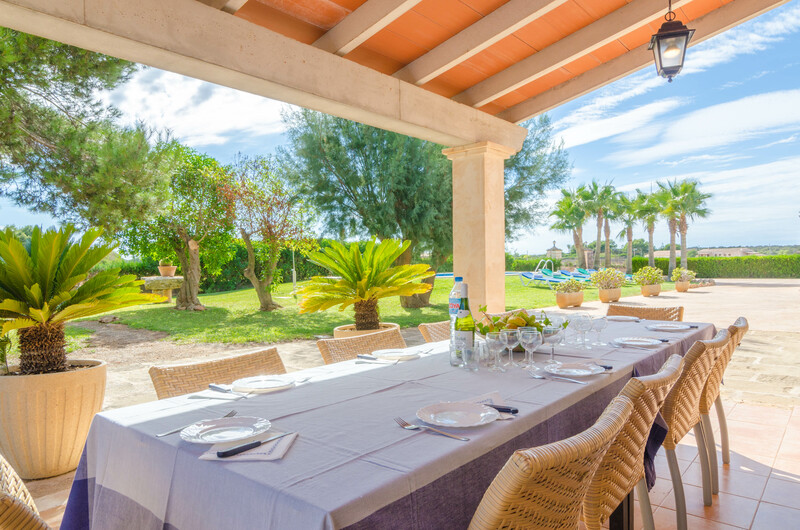 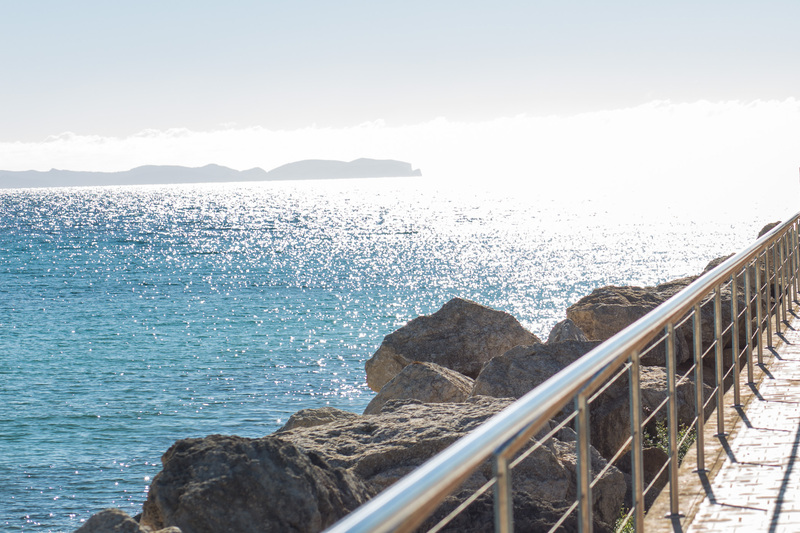 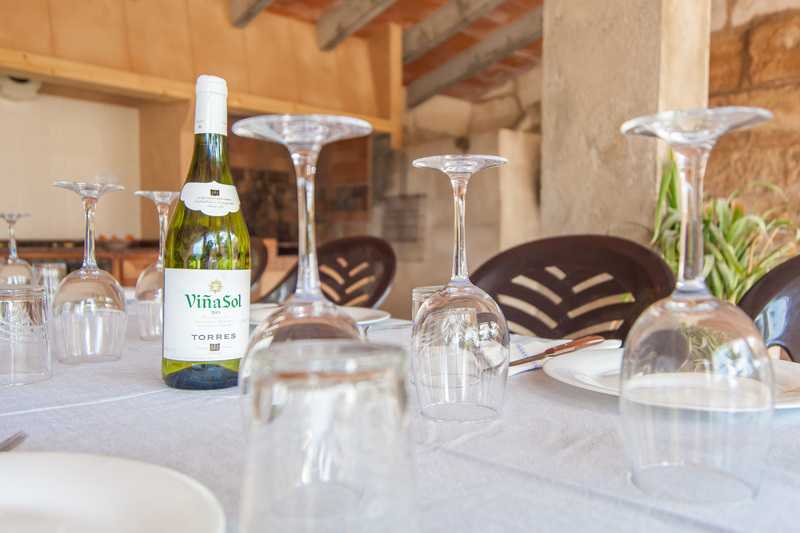 Due to its location, between Colonia de Sant Jordi, Sa Ràpita, Ses Salines and Campos, you will find a lot of services like restaurants and bars, grocery shops, supermarkets, etc. 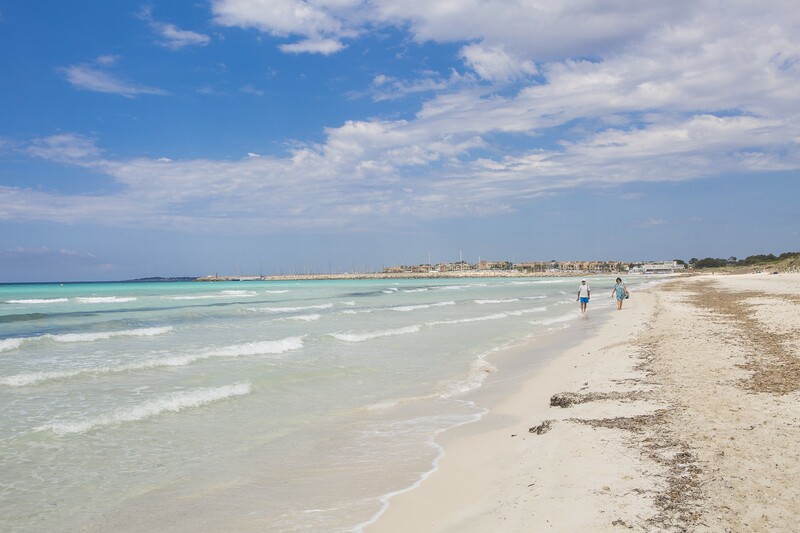 The capital, Palma de Mallorca, is about 40 minutes driving, dont miss the old town and the Cathedral! 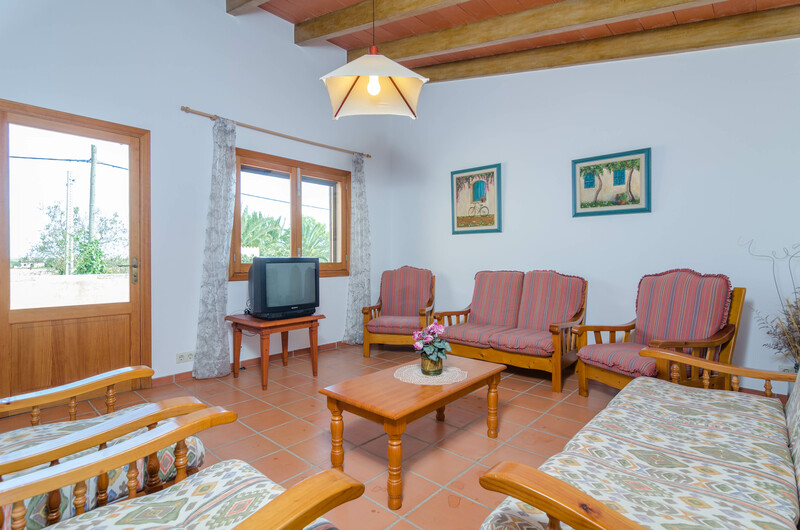 Note: This property cant accept under 20 years old guests, except if they travel with their parents. 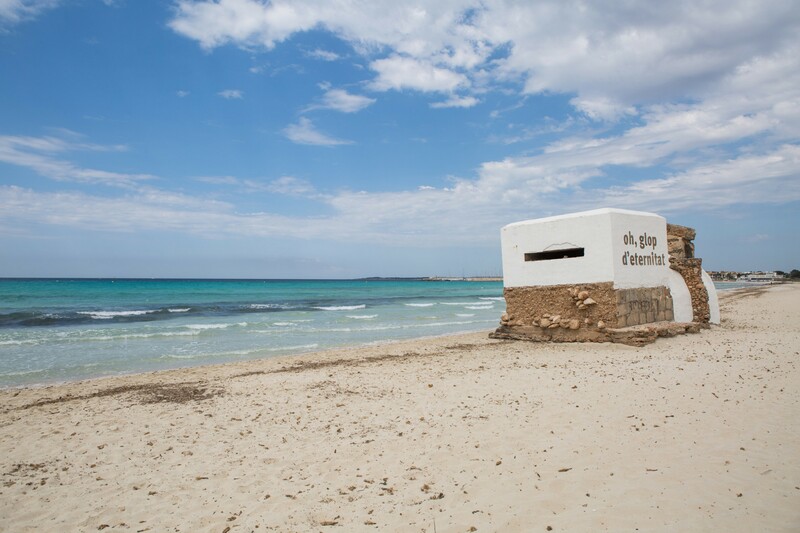 We need ID copies from every person to accept the reservation. 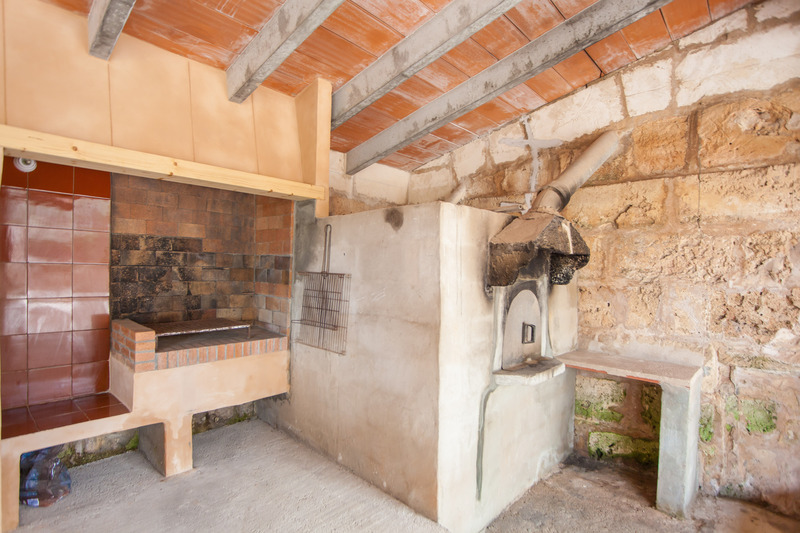 The wooden oven by the barbecue can't be used.